Come and join us at the W!ld side with the new snorky release by French master DJ W!ild. After his first smashingly successful release on Snork Enterprises in 2012 the highly recognized DJ and producer now returns with his distinct style of techno, minimal, acid, house and hip-hop inspired grooves resolving in four wildly danceable tracks. Each of them stands out with clear-cut beats that immediately drag you into the groove. 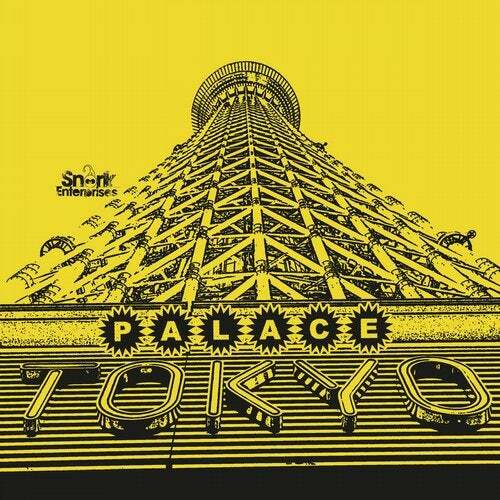 The title track "Tokyo Palace" takes you on an atmospheric space trip. The second piece "Back from the South" speeds up and focuses on a catchy rhythm. Number three "Break" clearly lives up to its name and sticks out with a surprising broken beat interaction. And last but not least piece number four "Tattoo" presents itself as an intoxicating composition of driving techno and house beats easily conquering your ear. Together they clearly represent of what can be called a true snorky release - straight ahead, surprising and super groovy.